Three American photographers have been featured in exhibitions in Washington, DC this spring and summer. Toby Jurovics, Curator for Photography at the Smithsonian American Art Museum organized the first major exhibit of Timothy O’Sullivan’s western survey photographs in thirty years. Corcoran Gallery of Art Chief Curator Phillip Brookman’s retrospective exhibition of Edweard Muybridge is a comprehensive view of an extraordinary career. Sarah Greenough, Curator of Photography at the National Gallery of Art produced an exhibition which connects Allan Ginsberg’s poetry and his photography. Interestingly, the photographers and the exhibitions which among them cover nearly a hundred years of photography, a wide variety of subjects, multiple techniques, and photo technology, have more in common than you might first think. Though each photographer made images with a distinctive style, none would have thought of themselves as primarily making photographic art. Each framed their images in the guise of other disciplines: in the case of Muybridge and O’Sullivan, science, exploration, and invention; in Ginsberg’s case poetry and biography were factors. Further, each of the exhibitions operates on the premise of the archive, collections of images that together suggest arcs of purpose we might not suspect in single, masterpiece images. In the case of Muybridge the evidence of the archive is seen throughout; it is especially nice to see some of the Smithsonian’s unique collection of working proofs made from negatives he took at the University of Pennsylvania from 1884 to 1886 while he was photographing human and animal subjects in motion. And while I’m mentioning archives and great photography exhibits in Washington, there is also another exhibition this summer that might not label itself as a photography exhibition at all. 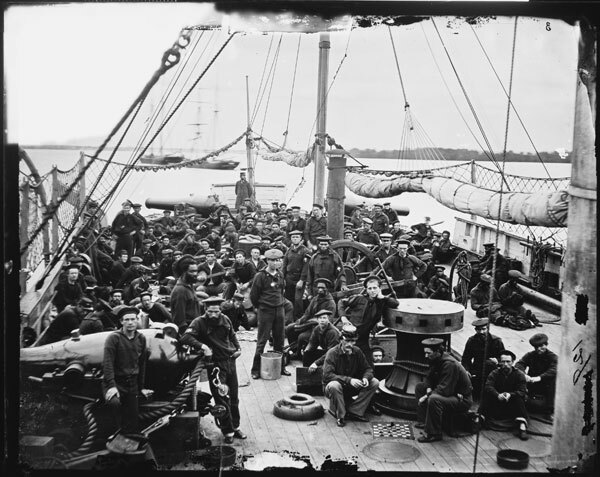 Discovering the Civil War, the first of two exhibitions (the second opens this fall) at the National Archives devoted to the war, uses photographs—both from official collections and private archives of personal images—to present a very nuanced visual history of a terrible national event. Check out the exhibitions in person, or online at: Framing The West: The Survey Photographs of Timothy H. O’Sullivan is at the Smithsonian American Art Museum. Helios: Edweard Muybridge in a Time of Change is at the Corcoran Gallery of Art Beat Memories: Photographs by Allan Ginsburg is at the National Gallery of Art Discovering the Civil War is at the National Archives.